Today is a very special day for our family. Today is our 20th Wedding Anniversary. Oh. My. Goodness. 20 years! I can’t believe so much time has passed and at the same time it feels like we’ve known each other forever. I remember our wedding day like it was just a couple years ago. But every time I look in the mirror and find another gray hair natural highlight, I realize that far more time has passed. It’s been an amazing 20 years, filled with mostly ups and a few downs. We’ve been blessed with two amazing children who continue to amaze us every day. We’ve been blessed in so many ways throughout our lives together. And for that I am thankful for so many things. Too many to express here. Wishing you and your family a wonderful Thanksgiving Holiday. I’m thankful for you, my friends and customers. Your support means so much to me, to both of us. Hoping your Thanksgiving is stuffed with happiness. 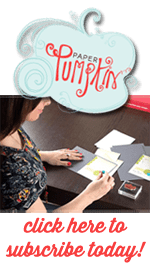 Don’t forget to take advantage of Stampin Up’s Online Extravaganza! The sale is from 11/21-11/28. The sale is 10-40% off select items. Don’t forget the other November Specials. Here’s the good news: November’s Special is still available. Here’s the bad news: Stampin Up just announced the Stitched Shapes Dies have been so popular, that they are now on backorder. They won’t be available until another shipment is received, likely several weeks. The stamp sets that are on sale are only for this month.